Tried everything but still not feeling better? 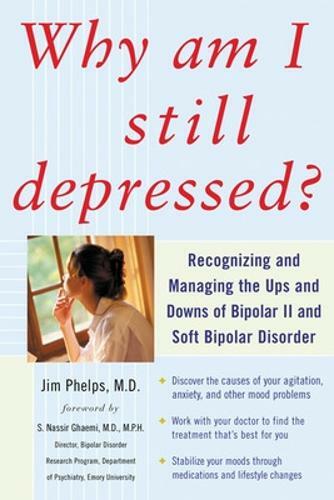 If your depression keeps coming back or is even getting worse, then you may be suffering from bipolar II or "soft" bipolar disorder. Commonly misdiagnosed, these mood disorders are characterized by recurring bouts of depression along with anxiety, irritability, mood swings, sleep problems, or intrusive thoughts. Why Am I Still Depressed? shows you how to identify if you have a nonmanic form of bipolar disorder and how to work with your doctor to safely and effectively treat it.